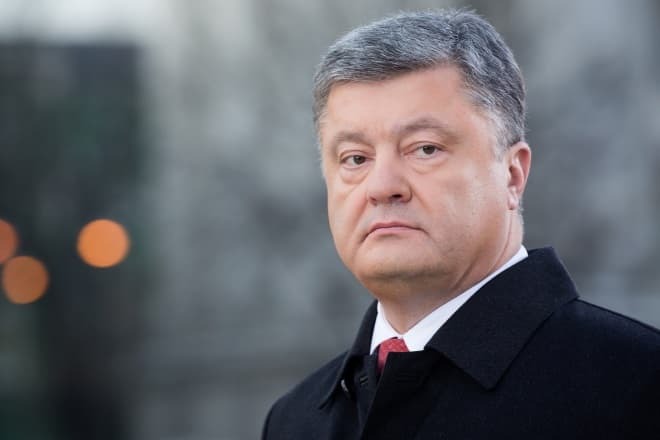 Petro Poroshenko is a Ukrainian political and state activist, the youngest president of Ukraine who gained the power when the country was going through the ambiguous and complicated events. Critics call him a brutal pragmatist, devious dealer, and successful businessperson, but nobody doubts his major quality – the ability to achieve his goal independently. 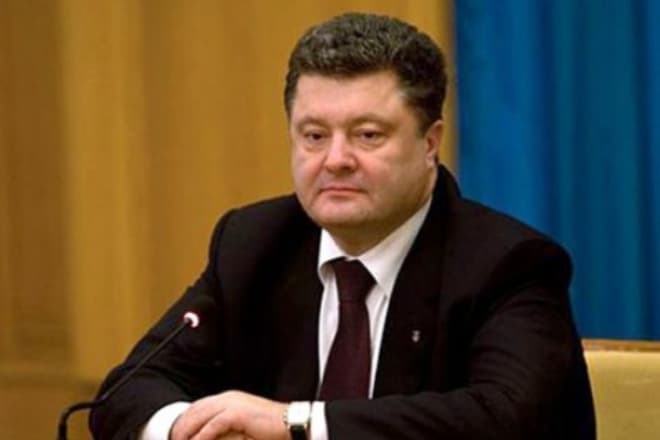 Petro Alekseevich Poroshenko was born on September 26, 1965, in a small Ukrainian town Bolhrad in Odessa Oblast not far from the border with Moldova. Poroshenko’s parents came from Izmail Raion of Odessa Oblast which used to be the part of Romania before the Second World War. The would-be President’s father Aleksei Ivanovich Poroshenko was the head of the agricultural machinery administration in Bolhrad; the mother Eugenia Sergeevna was the accountant general. Petro was the youngest child: he had a brother Mikhail who was 8 years older; in 1997, the brother died under mysterious circumstances. Media frequently provided the information that the future Ukrainian leader’s real surname was Waltzman. This data gave the ground to spread rumors concerning the Ukrainian President’s nationality. 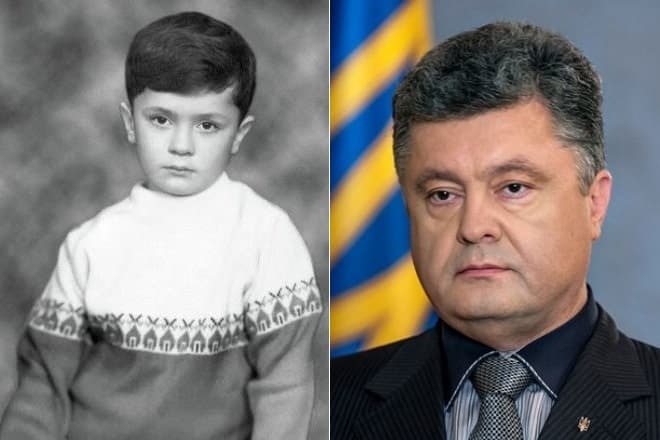 When a kid, Petro Poroshenko was calm, respondent, polite, and industrious child who liked sweets. At school, he revealed the interest in foreign languages; since the first form, he learned French. The father was a strict man who brought up the children with rigid principles. In 1974, the Poroshenkos moved to Bendery, Moldova, where Petro Alekseevich finished the local school successfully. As the young man finished school, he chose the career of an economist and diplomat and went to Moscow to enter Moscow State Institute of International Relations. Because of the harsh competition, the provincial school leaver failed to enter that university and decided to study the international economy in Kiev. 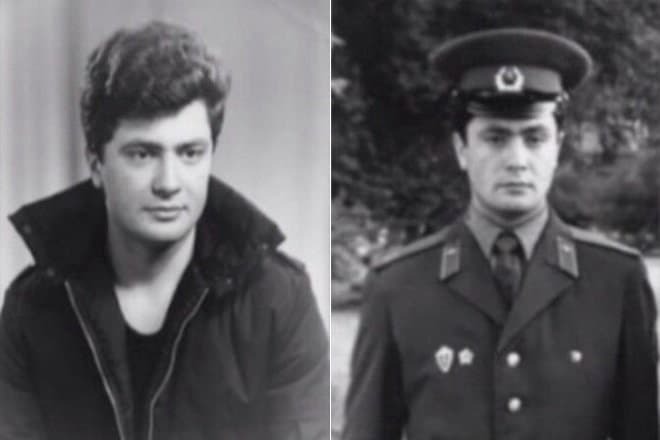 In the third year of his school, Petro Poroshenko was called up for the military service; after he saw the army service in Aktobe, he graduated from the university with honors and got the diploma of the economist and international relations expert. Petro Poroshenko’s business began when he was a student: the young man created his own organization “Tsentr Servis” engaged in signing and paying contracts. Poroshenko’s earnings equaled 1.5% of the total sum of an agreement, yet he managed to buy a “Volga” car in his fifth year at the university. Together with his former classmate Sergey Zaytsev, Poroshenko started deficient goods delivery in the USSR and used the money he had earned with “Tzentr Servis.” He provided confectioneries with cocoa beans from Belgium and Holland. 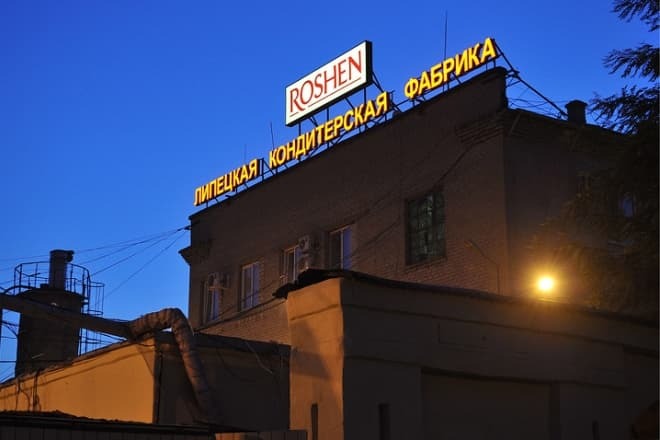 Apart from the chocolate empire “Roshen,” Poroshenko owns a large number of factories. His business includes several bus and car production companies, a glass products factory, several starch production companies, a shipyard “Leninska Kuznia,” an insurance company “Kraina,” and two sport-sanitary complexes. However, the production business does not belong to Poroshenko only. The oligarch owns a range of media including the Ukrainian “Channel 5,” the company “KP Media,” “Correspondent,” radio stations “Nashe Radio” (“Our Radio”), “Retro FM,” and “Tvoye Radio” (“Your Radio”). From 1993 to 1998, Poroshenko was the CEO of the family company “Ukrprominvest” that he had founded together with his father and brother. After Poroshenko’s corporation was reorganized in 2006, the multi-sector holding company PAO “Prime Asset Partners Ltd” was created; Petro Poroshenko owns 100% of the company stock. According to the financial magazine Forbes’s rating, the Ukrainian President was the 6th richest person in the country in 2014; his fortune was $1.3 billion. The economic crisis and military actions in Donbass did not make an impact on Petro Alekseevich’s income; moreover, his financial status improved significantly. 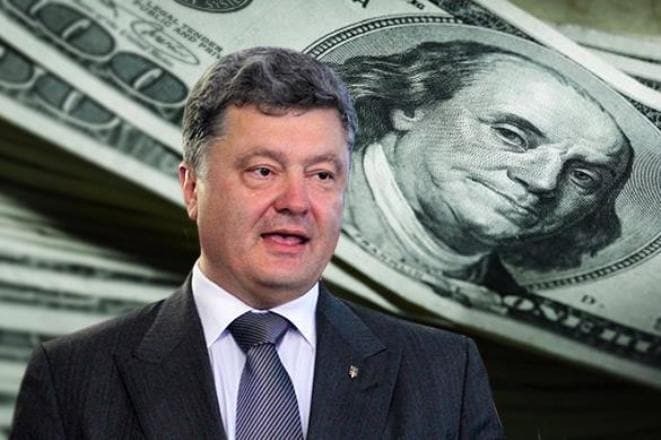 According to Forbes, Poroshenko’s income was more than $940 million in 2015. Besides, according to his e-declaration, he has $26.7 million in Ukrainian bank accounts. 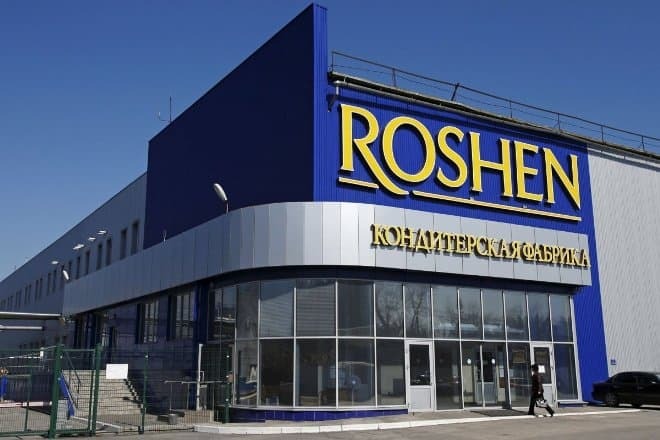 The Ukrainian society is angry not only with the main civil servant’s growing income but also the fact that the factory “Roshen” continues its work in Russia. Despite the Ukrainian leader’s promise to close the concern, the confectionery still operates in Lipetsk. The Russian President Vladimir Putin said that he welcomed the work of this factory in Russia since the organization diligently paid taxes. In 1998, Petro Poroshenko’s career moved in another direction: he was involved in politics which was his dream since he was a student. Petro Alekseevich became the Deputy of the Verkhovnaya Rada as the member of the Social Democratic party. Two years later, he left the party because of the conflict with its leaders Georgy Surkis and Viktor Medvedchuk. Poroshenko created his own fraction “Solidarnost” (“Solidarity”) that turned into The Ukrainian Party of Solidarity. In 2000, the party “Labor Solidarity of Ukraine” was created as the result of five parties’ union; in 2001, it was renamed “Party of Regions,” and the former Prime Minister of Ukraine Mykola Azarov became its leader. In 2001, Petro Poroshenko left the Party of Regions, supported Viktor Yushchenko, and led the pre-electoral campaign of the new presidential candidate. Petro Alekseevich collaborated with Viktor Yushchenko until the 2004 Orange Revolution and did not expect the victory to bring him the personal political promotion. After Yushchenko was elected the Ukrainian President, Yulia Tymoshenko became the Prime Minister, and Petro Poroshenko was the Secretary of the National Security and Defense Council. 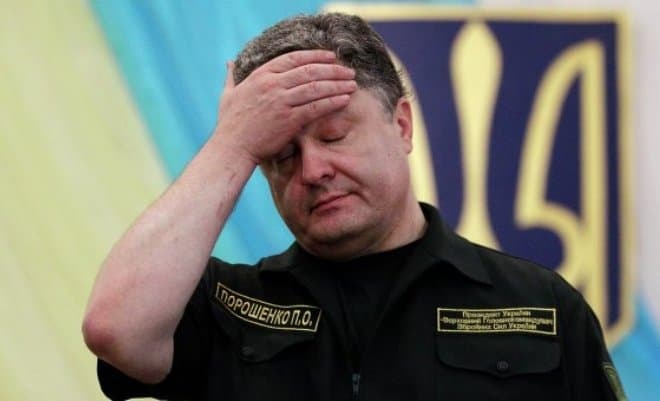 The then-new President decided to mitigate Poroshenko’s “defeat” and enlarged the Secretary’s functions: he was granted the right to coordinate the candidates to security forces leader positions, judges, and the members of the Ukrainian Supreme Council of Justice. In addition, Poroshenko became Yushchenko’s Adviser on National Security and Defense. According to some politicians and experts, these changes were performed to counterbalance the Prime Minister of Ukraine Yulia Tymoshenko. 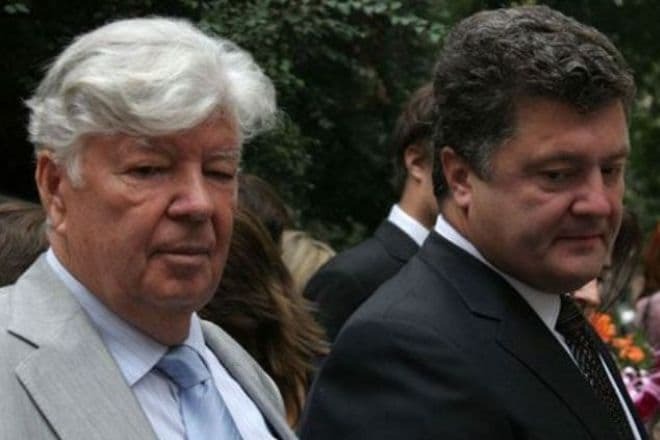 In 2005, Petro Poroshenko and other bureaucrats were dismissed by the former President of Ukraine because of the large scandal: Yushchenko’s confidants were accused of corruption, nepotism, and lobbying their own interests. At that moment, Yulia Tymoshenko supported the President’s initiative, but she suffered the same fate soon. Poroshenko’s resignation narrowed the new Secretary’s functions: the Ukrainian leader made this decision two weeks after the resignation. In 2009, Poroshenko was elected the Minister of Foreign Affairs and became the member of the Ukrainian National Security and Defense Council. Next year, when the leader of the Party of Regions Viktor Yanukovych won the presidential elections, Poroshenko was dismissed again, and Kostyantyn Gryshchenko took his position in the government. In 2012, the former Ukrainian President Viktor Yanukovych confirmed Petro Poroshenko’s appointment as the Minister of Economy of Ukraine. Poroshenko did not spend much time in the Ministry: after he won the parliamentary elections in 2012, he was removed from the post. With all that, he refused to join any fraction in the Verkhovnaya Rada. 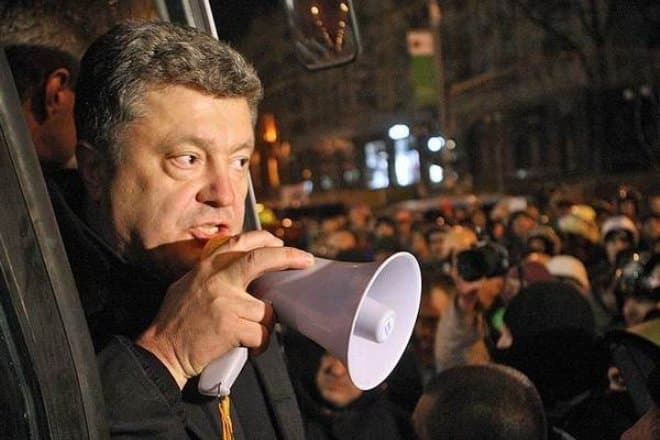 In a year, Petro Poroshenko was active in the Euromaidan and sponsored it with food, water, and firewood. He tried not to show himself in the first position like the former boxer Vitali Klitschko and the people’s deputies Oleh Tyahnybok and Arseniy Yatsenyuk. This strategy is likely to have helped him win the long-awaited victory and reach the top of the Ukrainian politics. During the Euromaidan, Petro Poroshenko gained people’s trust by means of his active participation in the critical situations. This work gave him the opportunity to win the elections in 2014 after the former President of Ukraine was ousted. Poroshenko proved himself to be the politician who was not inclined to extremism and radicalism: as a result, more than 50% of the Ukrainians voted for him in the first round of the presidential race. 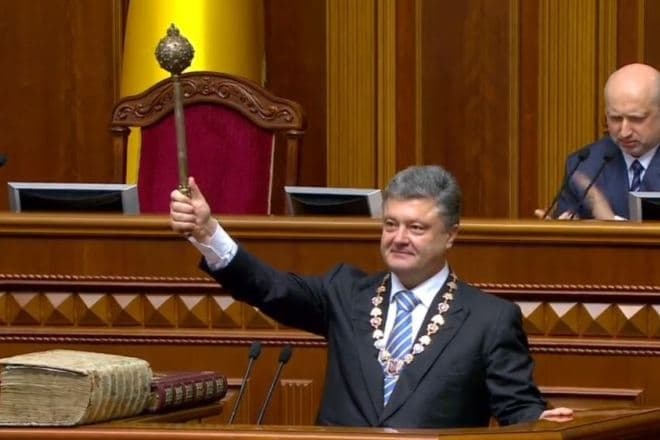 Thus, Petro Poroshenko became the fifth President, one of the few who won the victory in the first round. The Euromaidan mood contributed to the elections to a large extent. At the inauguration ceremony on June 7, 2014, the new President of Ukraine announced his aims were to preserve the country’s unity and return the Crimea to Ukraine. 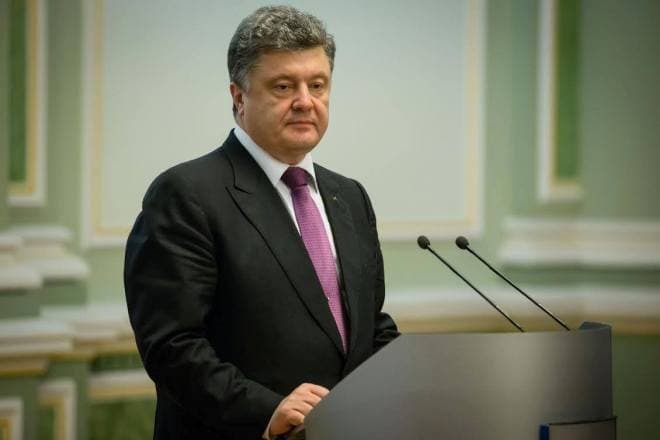 Poroshenko promised people to take more energetic measures to provide the Ukrainians with the visa-free regime in Europe and brought hope that Ukraine would join the European Union. Since the first days, the Ukrainians changed their opinion about Poroshenko’s presidency, and he lost almost all his supporters who used to view him as a humanist, economic planner, intelligentsia member, and politician with strong principles. In the first month of his presidency, he made a decision to fight the protests in the South-Eastern part of the country and sent the army there. 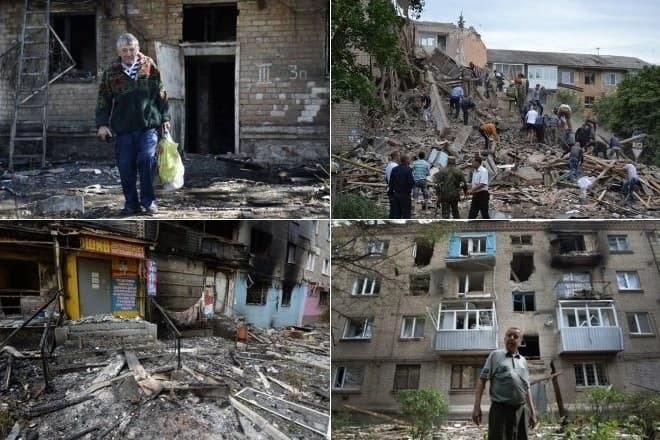 According to the official OSCE data, more than 6 thousand of peaceful citizens and dozens of security agents died as the result of the military conflict in Donbass. The country’s government was not much bothered by the statistics. Kiev continued to make attempts to return Donbass even after the Minsk peaceful protocol was signed. Many violations of the cease-fire regime in the South-East that are registered by international observers prove it. 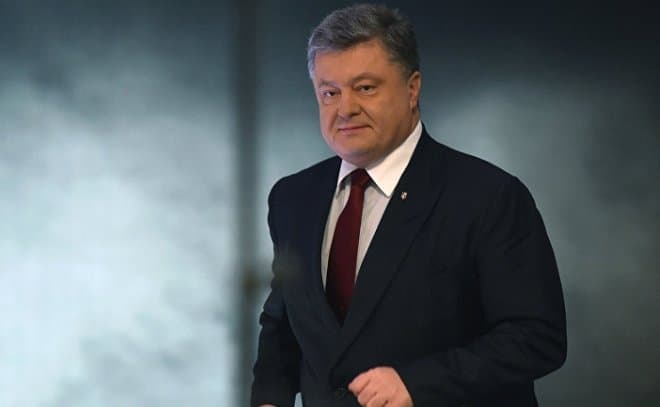 After two years of his presidency, the population saw Petro Poroshenko as a billionaire interested only in saving his money and ignoring the necessity to restore peace in the country. He is accused of the bad luck in Donbass conflict, currency collapse, and economic catastrophe in Ukraine. He did not fulfill a single promise he had given; the freedom of speech was replaced by “pseudo-patriotism,” and social payments and budget wages were substituted for the disbursement of an IMF loan. The people perceived all Poroshenko’s activities quite aggressively; people began to suggest the country’s leader consumed alcohol. These ideas started with the President’s speech in Mariupol where he is said to have appeared in front of factory workers drunk. Various memes and video gags immediately flowed the Internet; Instagram users also discussed the country’s main bureaucrat’s behavior. At the moment, the President does his best to stop the bloodshed in Eastern Ukraine. The negotiations in the Normandy format are being held, but little progress was made. Military actions continue, and the society accuses the President of being interested in additional dividends and economic benefit related to the war. The western media often informed that the US authorities did not want to maintain this stage of affairs. 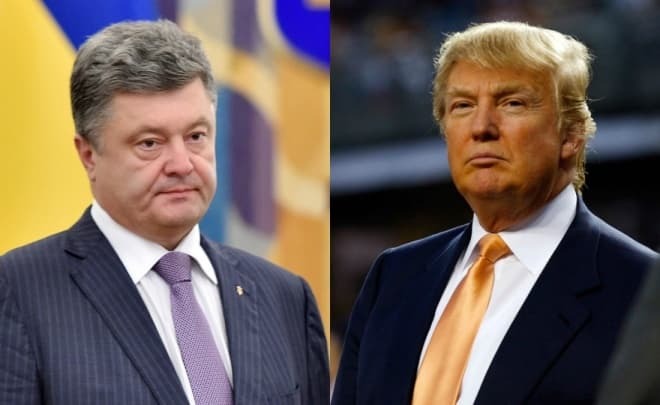 Petro Poroshenko and Donald Trump’s meeting took place in 2017; the leaders discussed the ways to solve the military conflict in Donbass. European politicians supported their meeting and claimed it was necessary to revise the concepts and decision-making approaches so that the war in Eastern Ukraine stopped. 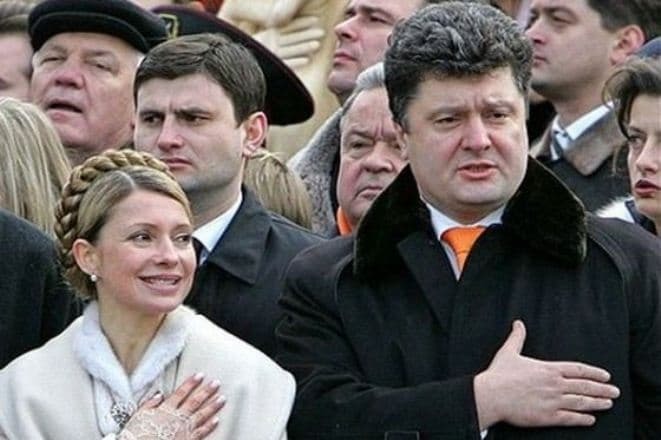 Unlike his political career, Petro Poroshenko’s personal life is steady and solid. When he was a student, he met his future wife Maryna Perevedentseva who was the daughter of the Minister of Health’s Secretary. 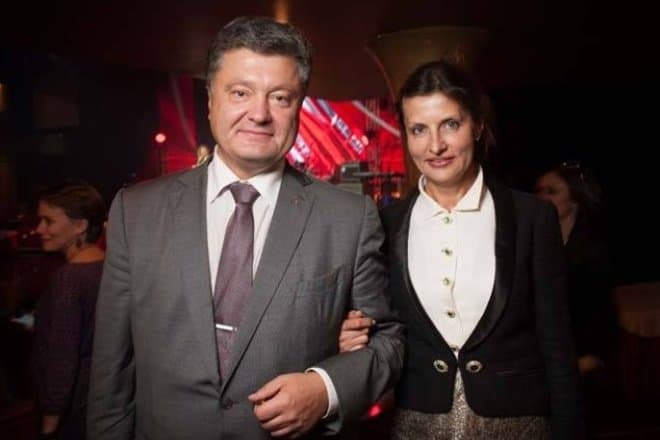 Poroshenko’s wife is a cardiologist by training; as the first lady of the country, she does the charity work and administrates the Petro Poroshenko Charity Foundation. People close to the President of Ukraine consider Petro Poroshenko an ideal family man, a caring father, and a loving husband; as the tough, stern politician gets home, he turns into “a melting chocolate.” Poroshenko’s wife has always been the faithful home base and helped him at all stages of his career. The couple’s main principle is the taboo to discuss politics at home. The fifth Ukrainian President has four children: the son Alexey, twin daughters Aleksandra and Eugenia, and the son Mikhail. 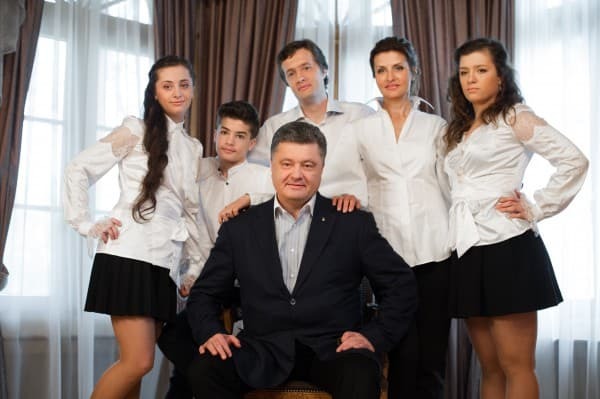 In 2014, Maryna and Petro Poroshenko became the grandparents: their elder son Alexey had his first child Petro. Poroshenko’s children and his wife Maryna consider Petro Alekseevich an authoritative head of the family, an excellent father, and a loving husband. Their home is full of family traditions and warmth.